Earlier this year, our 22-Balise named dealerships introduced the Balise Certified Pre-Owned Warranty program on a large selection of used cars. If you haven’t heard about this program, it’s a 90-day or 3,750-mile warranty that is available at no additional charge. It covers major components like the engine, steering, and more. The best part of all? It’s valid on most of the used cars in our West Warwick used inventory. We’re proud to serve our customers near West Warwick, Providence, East Providence, Pawtucket, RI, and Attleboro MA. 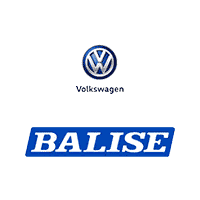 Those who are looking for a used vehicle know to visit Balise Volkswagen today! If you have any additional questions about our program or inventory, please reach out our sales team. As always, we look forward to seeing you soon!